Public and community toilets in urban areas will be alloted unique identification numbers that will be displayed at their entrances. 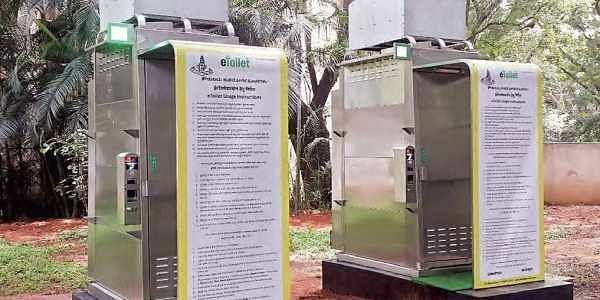 NEW DELHI: Public and community toilets in urban areas will be alloted unique identification numbers that will be displayed at their entrances, an initiative aimed at their better upkeep under the Swachh Bharat Abhiyan, according to an official document. Besides unique IDs, other information like the name of the local body under whose jurisdiction the toilet falls, details of maintenance authority, name and contact number of supervisor or in-charge and information about the grievance redressal mechanism would be provided, it added. Over 2.34 lakh community and public toilets have been constructed across the country under the mission. Their cleanliness plays a key role in ensuring that areas near them remain open defecation-free, an important component of the mission. In a letter issued recently to state mission directors and municipal commissioners of 4,302 cities, the Housing and Urban Affairs Ministry said "citizen must have access to grievance redressal mechanism as well as be aware of basic information about the toilets they wish to use". "You are are requested to identify all public access toilets and community toilets in your city, provide each of these with unique identification numbers," the letter read. It also asked them to "prominently display" the information at the entrance. It said that under the Swachh Bharat Mission, community and public toilets play a key role in ensuring achievement of Open Defecation Free (ODF) towns/cities.